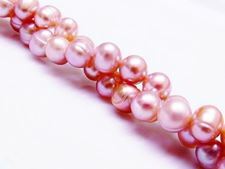 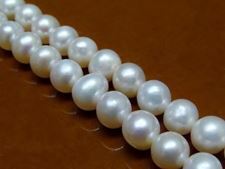 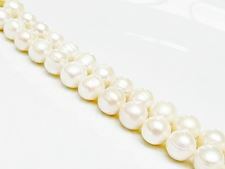 Freshwater pearls or cultured pearls come in more color variations than saltwater pearls; you will find them in white, silver, pink, lavender … The natural silver or pink overtone and iridescence increase their value … and with pearls size matters: the larger the more valuable. 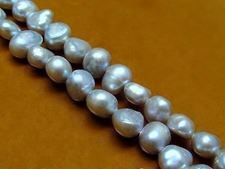 And although less expensive than saltwater pearls, these pearls' tick layer of nacre is not less beautiful. 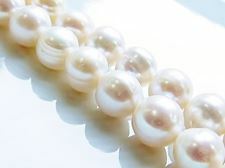 The pearl will always be the queen of gems and the gem of queens. 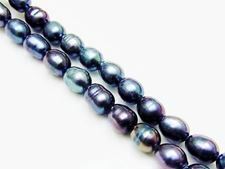 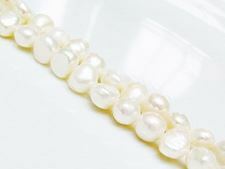 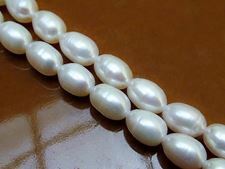 Find your favorite freshwater cultured pearls at dune beads.